It helps to visualize your ideal app user before you choose and implement an acquisition strategy. In fact, it’s imperative. The specifics will depend on the type of app you’re marketing, your target audience and your goals. But there’s one universal truth: The best kind of app user is one who actually uses your app. It sounds obvious in theory. But many marketers end up paying to attract people in the hopes they’ll become app users, only to find the users disengage almost immediately. This conundrum wastes ad spend and jeopardizes campaign performance. Luckily, there are things you can do to prevent this from happening. 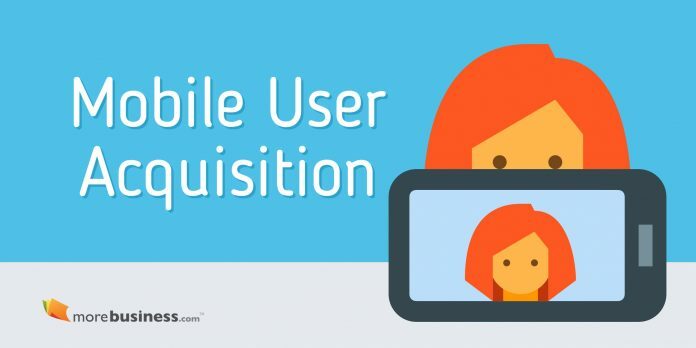 Here are some of the factors to consider when you’re planning your mobile app user acquisition strategy. Essentially, the more desirable the user action, the more it will cost to make it happen. This may seem daunting at first. However, the fact remains that many apps depend on these coveted post-install events for monetization. More apps used to charge a one-time fee to download them up front, but the last few years have signaled a shift. The rise of the freemium marketplace means many apps are free to install, but offer paid options later like subscribing, buying extras, overcoming a paywall and more. In other words, your app won’t be able to drive revenue without users who are engaging in these monetized post-install events. So, it’s an efficient use of ad spend to focus on attracting quality users rather than gauging campaign success on installs alone. After all, many $4 installs still ad up quickly—and do not guarantee anything beyond this action. Your mobile user acquisition strategy affects the types of users you target, thereby affecting conversion rates and revenue. Marketers must decide whether to pursue a Cost-Per-Install (CPI), Cost-Per-Action (CPA) model or both. The former entails paying whenever a user installs your app using a paid ad. The latter refers to paying only after a user completes a required action like creating an account. Advertisers pay for what matters most – active users. Advertisers do not pay for thousands of fruitless installs. Users are more likely to convert, generating a better ROI. There’s no need to cap ad spend because users are quality. There’s also the matter of finding these quality users in the first place. What makes someone more likely to convert within your app? Well, working with an app marketing platform allows for data-driven decisions based on a database of user profiles. The strategy is two-fold. First, target lookalike audiences, also known as people with similarities to the people who actually use your app. Secondly, personalizing the ads to reflect their demographics, habits and mobile devices helps boost click-through rates. Your mobile user acquisition strategy is a make-or-break factor in how your app performs. Only with quality, engaged users can you hope to make money. Attracting the right kind of people begins at the marketing stages.